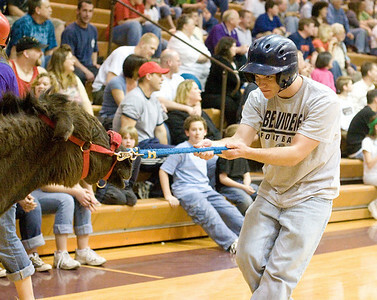 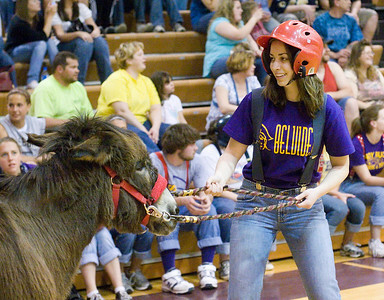 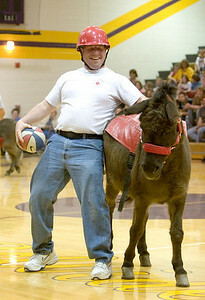 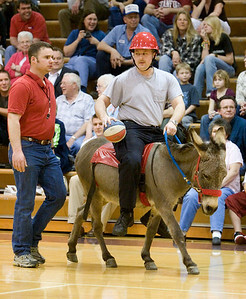 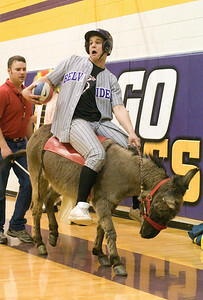 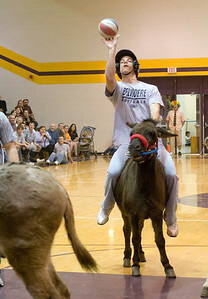 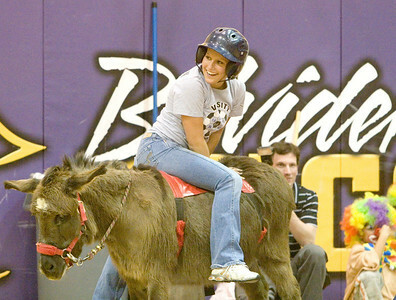 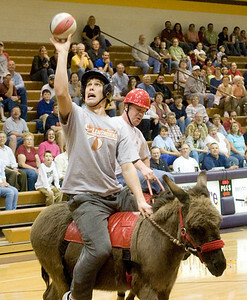 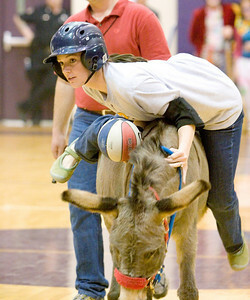 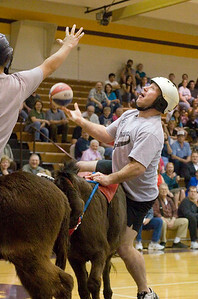 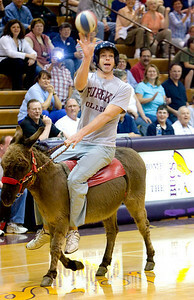 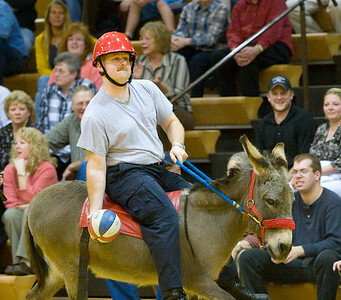 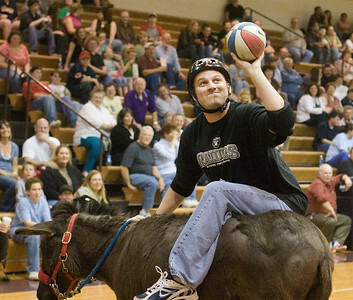 Belvidere High School English teacher Gina Nomikoudis tries to get on her donkey so she can pass or shoot the basketball. 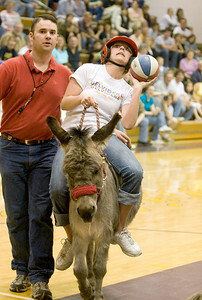 Belvidere High School student Amanda McEleroy goes for a layup under the backboard. 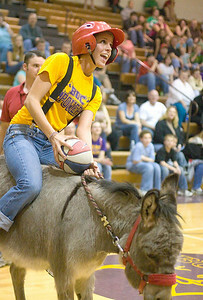 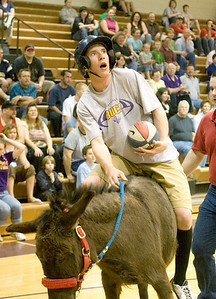 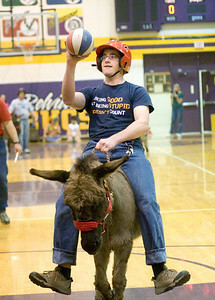 Belvidere High School senior Kristin Mortensen tries to keep her balance and turn around on her donkey while waiting for the chance to shoot a basket.